Manufactured for use in dot matrix printers. 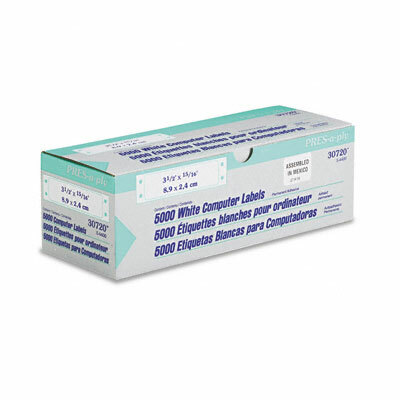 Printable, self-adhesive labels are ideal for bulk mailings. Each label lifts easily off the sheet, minimizing accidental tearing. Manufactured specifically for use in dot matrix printers.